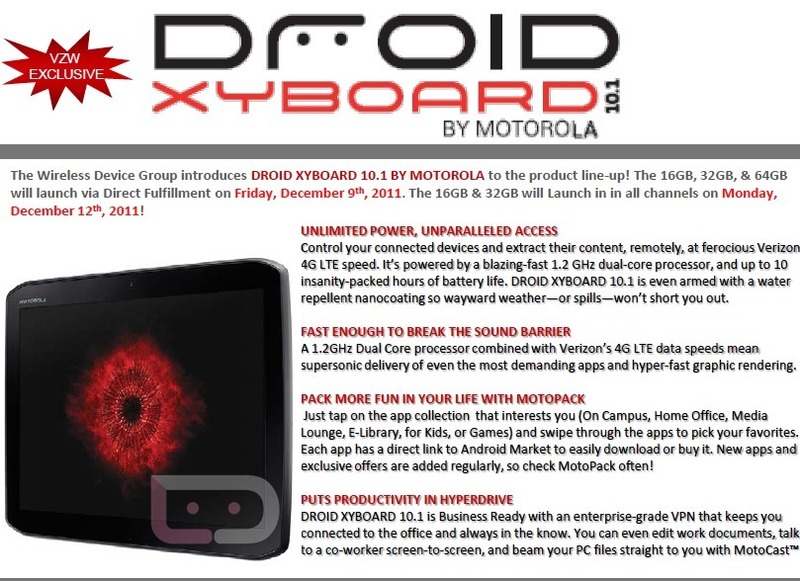 If the DROID XYBOARD is to be your next tablet, then tomorrow is your day to order one online or to have a Verizon store order one for you. If you want to wait to play with one before droppin’ Benjamins, you will have to try and hold out until Monday when they should available everywhere. So again, XYBOARD available via d-fill (direct fill) tomorrow, all channels on Monday the 12th. If you would like to see how they compare to the rest of the competition, you can view comparison charts here. Pricing information here.